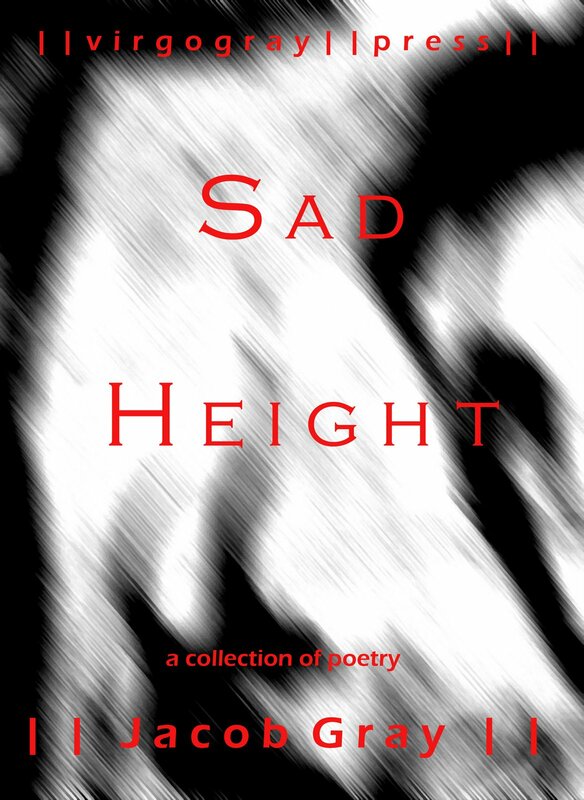 Sad Height, published in January 2005, is out of print and features many hard to find works by Michael Aaron Casares written as Jacob Gray. There are only a few remaining copies of this limited book, a volume of poetry that includes early drafts of poems like: “The Neighborhood is Silent”, “Dream of Sky” and “The Fourth Estate” as well as unknown pieces like “The Queen” and “Inconsequential.” The epic-inspired, The Winter King is also included. This particular volume of poetry includes many early works and is the maiden publication of Virgogray Press, an essential in a growing line of poetry collections. 81 pages.